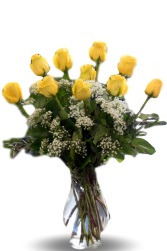 Traditionally Yellow Roses means "Joy, Happiness, Caring and True Friendship". 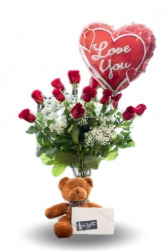 No matter why you are sending them they are sure to brighten someone's day. 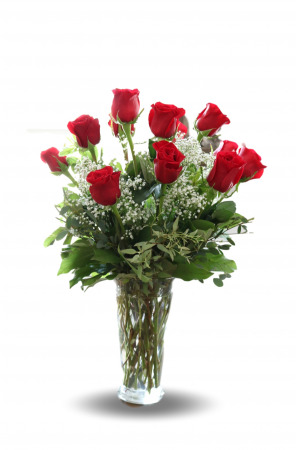 As shown 1 Dozen Roses, Medium 18 Roses, Large 24 Roses. 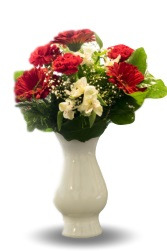 Vase and shade of Yellow may Vary. Container is 10" tall.